Embedded systems are generally designed for specific purpose such as alarm systems and learning systems. These devices work in particular scenario and repeatedly perform a few particular tasks, which result in the shortage of extensible ability to execute diverse tasks. This work proposes software synthesis algorithms for generating code which can execute on embedded ubiquitous learning system. Moreover, the extensible problem is solved by extensible software synthesis (E2S) technique. The E2S comprises CEO, CEOAS, CBOAS and CTOAS procedures that are developed for synthesizing software with extensible ability. Each procedure first separately synthesizes its extensible component, so-called EC, and then applies it to construct the various tasks. Next, the E2S synthesizes various ECs to generate codes to serve complex and diverse functionalities. The synthesis codes are verified on an ARM emulation platform. Experimental results on benchmarks show the E2S achieves not only extensible ability but also the time of software synthesis which meets the requirement of specification. F. Rincon, J. Barba, F. Moya, F. J. Villanueva, D. Villa, J. Dondo, and J. C. Lopez, "System-Level Middleware for Embedded Hardware and Software Communication," in Proc. of the Intelligent Solutions in Embedded Systems, 2007, pp. 127-138. W. Cesario, L. Gauthier, D. Lyonnard, G. Nicolescu and A. A. Jerraya, "Object-Based Hardware/Software Component Interconnection Model for Interface Design in System-on-a-Chip Circuits," Journal of Systems and Software, vol. 70, no 3, pp. 229-244, Mar. 2004. R. Hecht, S. Kubish, H. Michelsen, E. Zeeb and D. Timmermann, "A Distributed Object System Approach for Dynamic Reconfiguration," in Proc. of the Parallel and Distributed Processing Symposium (IPDPS), 2006. C. Schulz-Key, M. Winterholer, T. Schweizer, T. Kuhn, and W. Rosenstiel, "Object-Oriented Modeling and Synthesis of SystemC Specifications," in Proc of the Asia and South Pacific Design Automation Conference (ASP-DAC), 2004, pp. 238-243. V. Issarny, M. Caporuscio and N. Georgantas, "A Perspective on the Future of Middleware-Based Software Engineering," in Proc. of the IEEE Conf. on Future of Software Engineering (FOSE'07), 2007, pp. 244-258. J. K. H. Wang, Y. Wei and X. Jia, "The Design and Implementation of EMP: A Message-Oriented Middleware for Mobile Cloud Computing," in Proc. of the International Conf. on Global High Tech Congress on Electronic, 2013, pp. 78-81. A. Zarras and V. Issarny, "A Framework for Systematic Synthesis of Transactional Middleware," in Proc. of the International Conf. on Distributed Systems Platforms and Open Distributed Processing, 1998, pp. 257-272. V. Subramonian, L. J. Shen, C. Gill and N. Wang, "The Design and Performance of Configurable Component Middleware for Distributed Real-Time and Embedded Systems," in Proc. of the International Conf. on Real-Time Systems Symposium, 2004, pp. 252-261. Y. H. Fan and J. O. Wu, "Middleware Software for Embedded Systems," in Proc. of the IEEE Conference on Advanced Information Networking and Applications Workshops (WAINA2012), 2012, pp. 61-65. W. Wolf, "Middleware Architectures for Distributed Embedded Systems," in Proc. of the IEEE Symposium on Object Oriented Real-Time Distributed Computing (ISORC2008), 2008, pp. 377-380. Y. H. Fan, J. O. Wu and S. F. Wang, "Software Synthesis of Middleware for Heterogeneous Embedded Systems," in Proc. of the IEEE Conference on the 2nd Consumer Electronics, Communications and Networks (CECNet2012), 2012, pp. 2084-2087. A. Wolff, S. Michaelis, J. Schmutzler and C. Wietfeld, "Network-Centric Middleware for Service Oriented Architectures Across Heterogeneous Embedded Systems," in Proc. of the IEEE EDOC Conference (EDOC 2007), 2007, pp. 105-108. 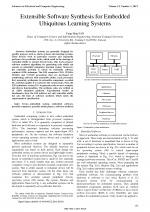 F. Irmert, T. Fischer and K. Meyer-Wegener, "Runtime Adaptation in a Service-Oriented Component Model," in Proc of the 2008 International Workshop on Software Engineering for Adaptive and Self-Managing Systems (SEAMS '08), 2008, pp. 97-104. M. Papazoglou and D. Georgakopoulos, "Service-Oriented Computing," Communication of the ACM, vol. 46, no. 10, pp. 25-28, Oct. 2003. Y. H. Fan, T. Y. Lee and T. H. Yang, "RCG: Retargetable Code Generation Methodology for Embedded Processors", Journal of Convergence Information Technology (JCIT), vol. 6, no. 2, pp. 260-271, Feb. 2011. T. Y. Lee, Y. H. Fan, T. H. Yang, C. C. Tsai, W. T. Lee and Y. S. Hwang, "RCGES: Retargetable Code Generation for Embedded Systems," Lecture Notes in Computer Science on Automated Technology for Verification and Analysis, vol. 3299, 2004, pp. 415-425. P. A. Hsiung, T. Y. Lee and F. S. Su, "Formal Synthesis and Code Generation of Real-Time Embedded Software Using Time-Extended Quasi-Static Scheduling," in Proc. of the IEEE Conference on 9th Asia-Pacific Software Engineering (APSE02), 2002, pp. 395-404. T. Y. Lee and P. A. Hsiung, "Embedded Software Synthesis and Prototyping," IEEE Transactions on Consumer Electronics, vol. 50, no. 1, pp. 386-392, Feb. 2004. K. Kwon, Y. Yi, D. Kim and S. Ha, "Embedded Software Generation from System Level for Multi-Tasking Embedded Systems," in Proc. of the Asia and South Pacific Design Automation Conference (ASP-DAC), 2005, pp. 145-150. 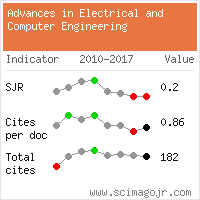 Citations for references updated on 2019-04-21 00:32 in 133 seconds.